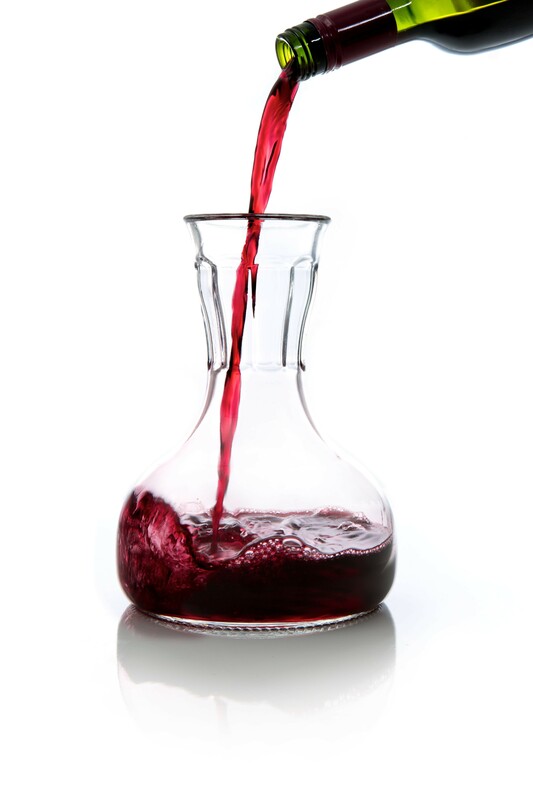 The carafe of this decanting set is a little smaller than its sister, the ‘French Carafe,’ but is extremely suitable for decanting and serving wine because of its design. Particularly suitable, that is - because the matching glasses fit onto the neck of the carafe, enabling you to carry the set with one hand. 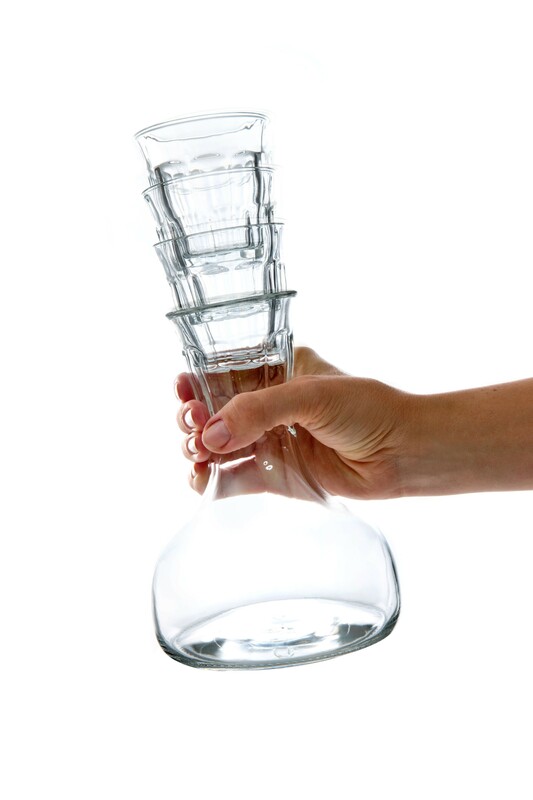 Like the French Carafe by Royal VKB, the French Decanter set is inspired by the Picardie glasses. In the previous century, Picardie glasses were a famous French design icon. De decanting carafe forms a set with 4 glasses. The 4 small glasses fit onto the neck of the bottle if you pile them. It’s very practical. 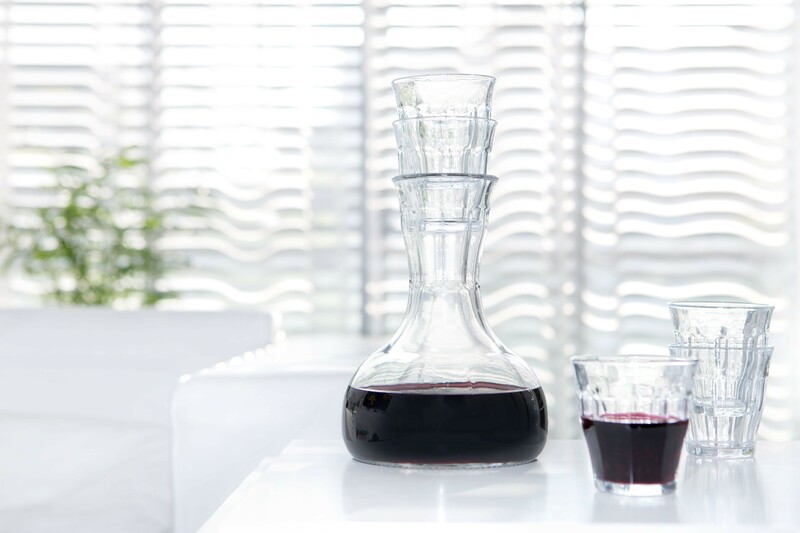 The carafe of this decanting set is a little smaller than its sister, the ‘French Carafe,’ but is extremely suitable for decanting and serving wine because of its design. 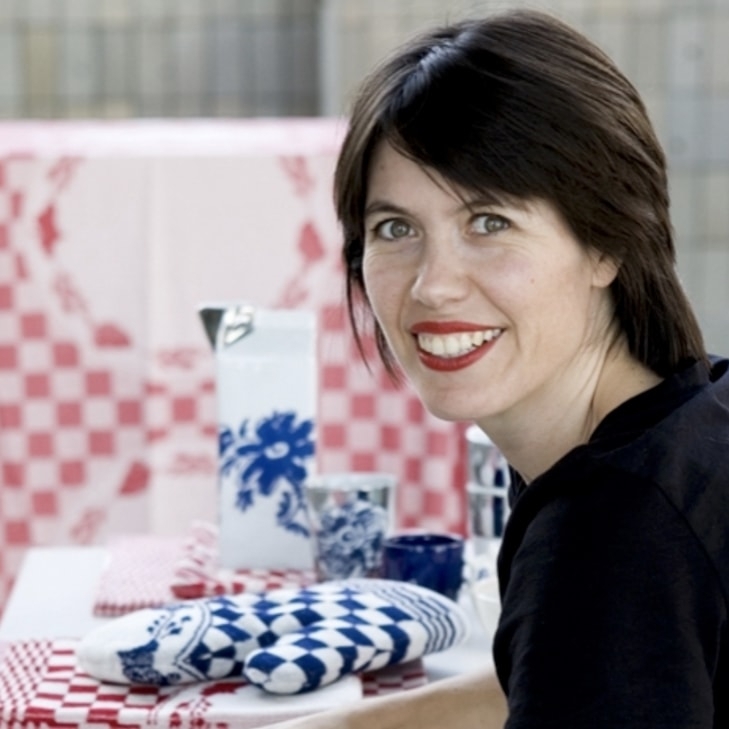 The carafe has a wide bottom, as a result of which it can be left on the table stable, but also has a perfect shape for decanting. 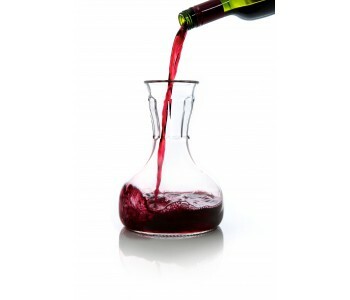 If you pour the wine into this carafe, it can breathe well, and the dregs can sink to the bottom. The carafe is big enough to decant the contents of an entire 0.75-liter bottle of wine. 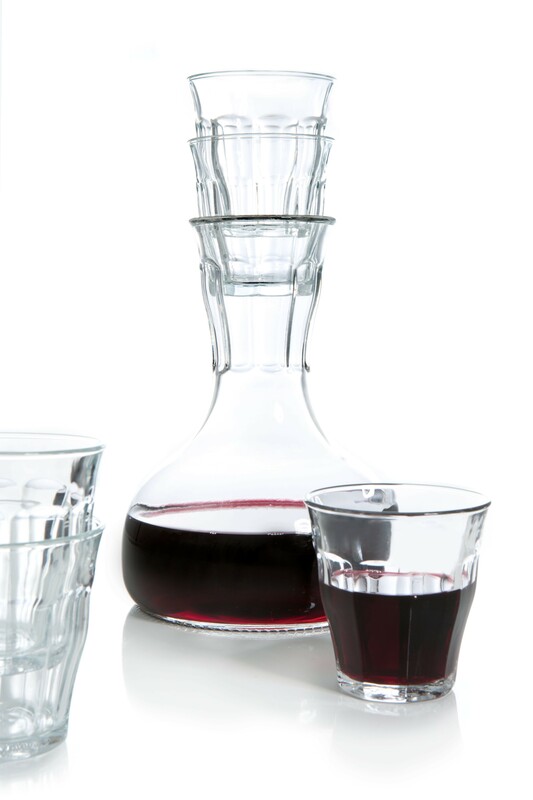 The French Decanter combines beautifully with the French Carafe and gives style to an attractively set table.